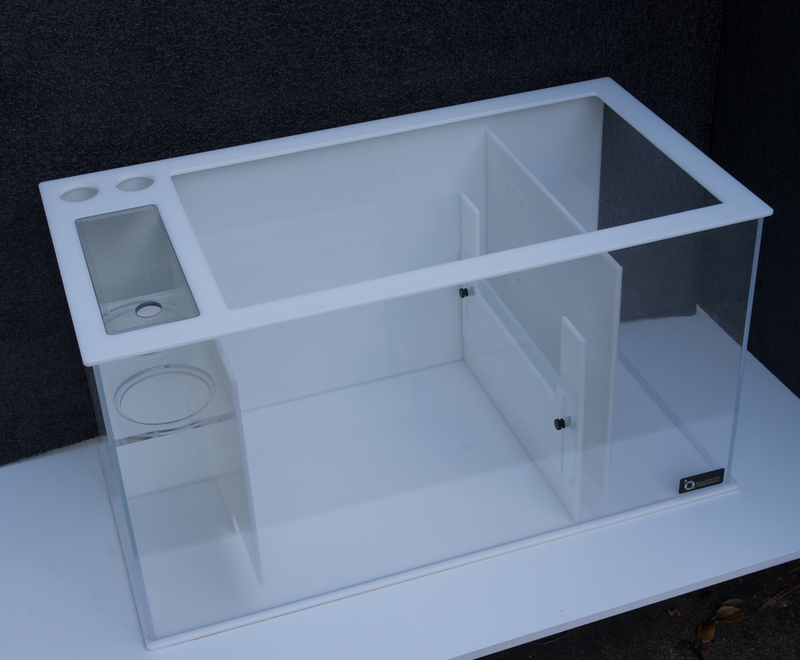 The UO sump is our top of the line sump with all our most popular features neatly fitted into a single beautiful design. The sump includes the most efficient overflow drain design, utilizing the least amount of space while providing maximum filtration area. It features our overflow sock design, lidded drain section and adjustable skimmer. This style is available in three standard sizes to accommodate most tanks. The drain section features an overflow style sock in a compact space saving layout. Having the drain in the back and flowing forward into the sock allows for the maximum space for drainage while saving space in the sump for other features. A fitted recessed sock holder ensures that all the water passes through the sock and not under it. A lidded drain quiets the overflow and contains an potential splashing and salt creep. 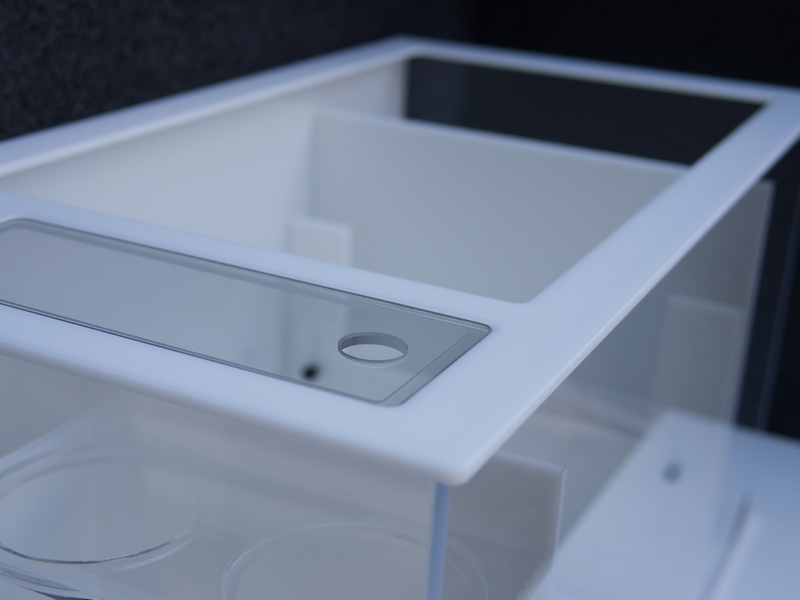 The sleek flush design allows for you to easily see into the sock while maintaining the aesthetics of the sump.